We’ve got some tinned raspberries that need using up so I decided to put a few quick desserts together today using some of the raspberries and various other ingredients. The reason the raspberries have ended up in one dish and a load of juice in the other is because when I went to pour them out of the tin, the juice obviously came out first and I could just see raspberry juice going everywhere if I continued to tip them in on top so I put them in a separate dish. 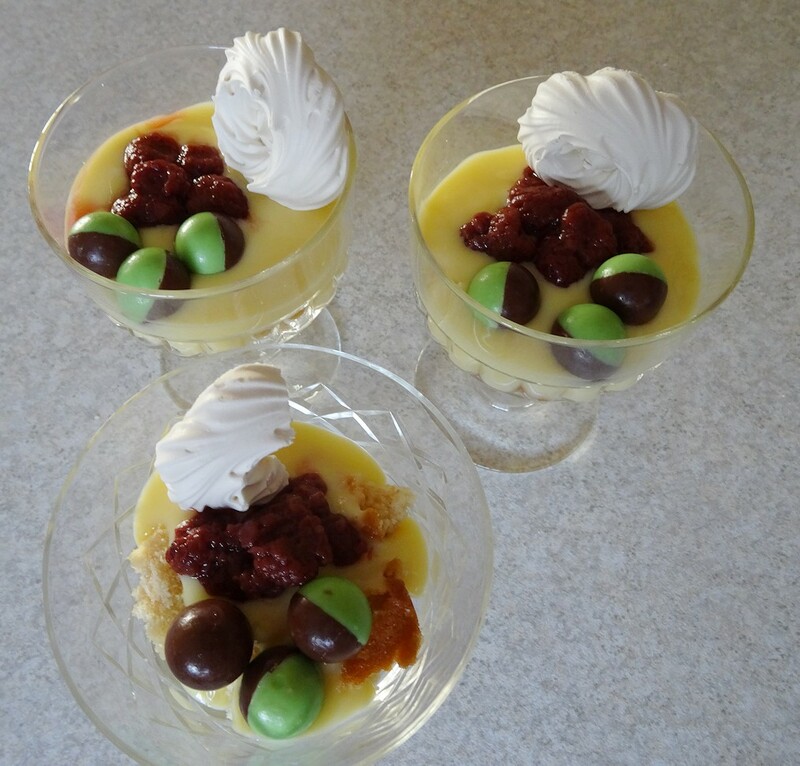 Plus this made it easier for adding the raspberries to the desserts anyway. 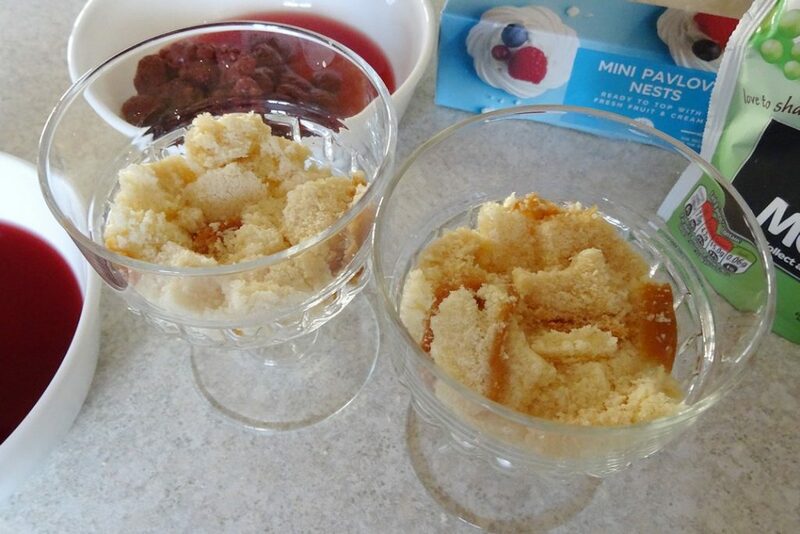 To create this, first I broke the madeira cake up into pieces and lined the bottom of the glasses, then I spread it out and pushed it down a bit so it was more even. 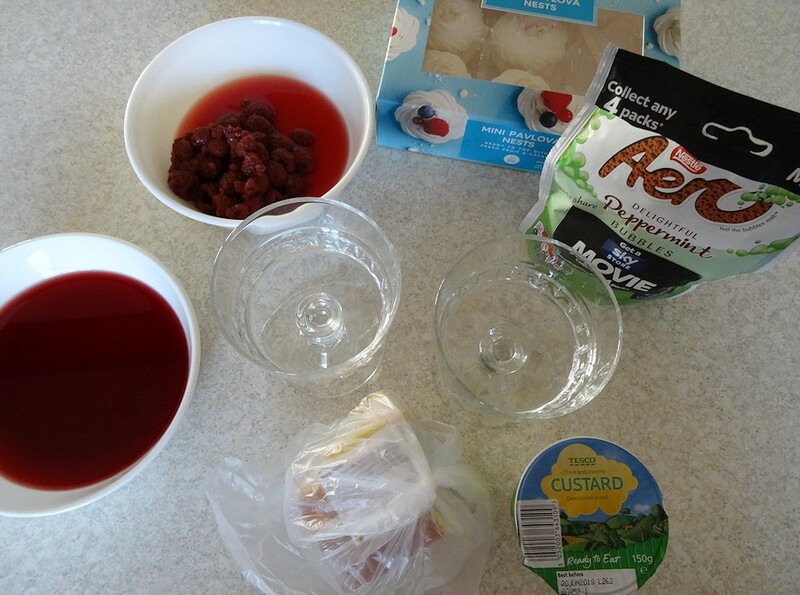 I then added the custard on top of the madeira cake and added some of the raspberries, a mini pavlova (only half on one of them) and a few Aero Peppermint Bubbles on each one. I really like how these turned out, a bit of cream did get added when they got to the table though but we all thought they tasted really nice. The third one was slightly different because mum didn’t want as much of the ingredients on hers otherwise they were pretty much the same. This entry was posted in food and tagged desserts on October 29, 2017 by Victoria.